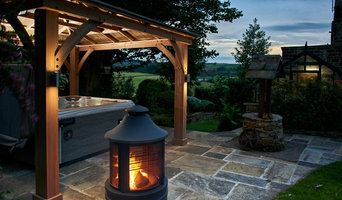 Hot tub house Yorkshire was created by father and son team, Craig and Alan. We sell and install quality hot tubs made by Artesian Spas, a leading hot tub and swim spa brand recognised annually in the What Spa magazine awards. Here at Yorkshire Hot Tubs we are proud to stock the world’s only Self-Cleaning Hot Tubs and Swim Spas. Jacuzzi ® is recognised worldwide for its hydromassage baths and spas brand. In addition to the filing of the patent of the first hydro pump, Jacuzzi ® has 250 patents worldwide for its advancements in pump systems, jet technology and design of its products. This ongoing commitment to innovative product development ensures its leadership position in the industry, and sets standards worldwide. The objective of our Houzz page is to share information, so that you can discuss the brand and your Jacuzzi ® experiences. Jacuzzi ® puts people at the heart of its concerns and we want you to tell your story with our brand. epco pipe systems has built a reputation of supplying high-quality piping systems, manufacturing each of their products to the highest quality and care. The company provide piping solutions for a diverse range of industry sectors locally, nationally and internationally including PVC Pipes, PVC Pipe Fittings, UPVC Pipes and ABS Pipe Fittings. epco ltd is a major UK provider of thermoplastic piping and specializes in both PVC and ABS Pipe Fittings UK, stocking one of the largest ABS and PVC pipe systems in the UK. Over 60 years of innovation has established Jacuzzi® Spa & Bath as the market leader when it comes to hot tubs, setting the standard by which all other products are measured. Every Jacuzzi® hot tub has been engineered to deliver a truly unique experience, turning your home and garden into your very own personal oasis. Of course, we don’t all have the room, money or climate for our own swimming pool, but hot tub prices are usually less than swimming pools' and are a more compact, weather-enduring option, too. With Leeds, West Yorkshire hot tub suppliers available on Houzz, you can compare prices, photos of hot tub installations, reviews, recommendations and ratings from previous clients. How will Leeds, West Yorkshire hot tub and swimming pool builders install my pool/hot tub? Do you want your Leeds, West Yorkshire swimming pool builders or hot tub suppliers to help you with maintenance and repairs? Find swimming pool builders or specialists on Houzz. Narrow your search in the Professionals section of the website to Leeds, West Yorkshire swimming pool builder or hot tub supplier. You can also look through Leeds, West Yorkshire photos by style to find a swimming pool installation or hot tub installation you like, then contact the specialist or builder who designed it.